Captain Jesus Villamor was among the Filipino officers who followed Gen. Douglas MacArthur to Australia following the outbreak of World War II. Awarded the Distinguished Service Cross for downing two Japanese enemy planes in 1941, Villamor was appointed director and instructor at the Officers’ Training Unit in Williamstown. as a prominent Manila businessman before the war. I had a special liking for Joe. Despite his wealth, he was a regular fellow, unpretentious and genuinely sincere. As a PAC [Philippine Army Corps] reserve officer pilot he used to fly with me all over the islands, for “navigation practice,” according to the book, but in reality to enjoy the warm hospitality of the friends we had everywhere. [L]ike spies stealthily moving to a secret rendezvous, we passed down a hallway, through a small door concealed in a solid-looking wall, up a dark and narrow alley, into another building and then, with care, through a door no one would ever find unless he knew the exact location of a certain push button. The room we finally came to was occupied by a small, wiry man who wore horn-rimmed glasses and had a firm, jutting jaw. “I’d like you to meet Colonel Allison Ind, deputy of the Allied Intelligence Bureau,” Joe said, introducing me to the AIB for the very first time. The Allied Intelligence Unit or AIB of the US military was composed of American, British, Australian, and Dutch intelligence units, and was tasked to assign spies, conduct espionage and sabotage, and disseminate propaganda. It was run by Colonel CG Roberts, then the Director of Military Intelligence of the Australian Army who laid the groundwork for setting up an intelligence system in the Japanese-occupied Philippines. Col. Ind was his deputy controller. 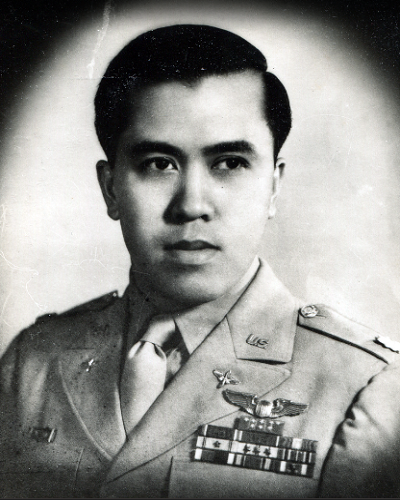 Not long after, Villamor was tasked to return to the Philippines and “establish a net for military intelligence and secret services throughout the islands.” His tasks also included setting up a communication system between the Philippines and Australia; organizing covert subversive activities, propaganda, passive resistance, and simple sabotage; and gathering information on Japanese political, military, and civil intentions, strengths, and movements. a grueling course in commando tactics” where they studied codes, ciphers, secret inks, disguises, recognition of aircraft and surface vessels, celestial aviation and small boat management. In the morning we attacked cadavers, to learn the best ways to kill, and there was Judo and wrestling and desperate, lonely moments when, left alone in the mountains and dense woods of the Great Dividing Range with nothing but a pocket knife and a piece of rope between us, we were left for three days at a time and lived off wild turkies and wallabies. On December 27, 1942, Villamor and his team rode the SS Gudgeon submarine to the Philippines. “We are home, home among friends,” Villamor said upon arrival. Later, he organized various guerrilla units in Luzon, Visayas, and Mindanao and fed information to Australia, where MacArthur was preparing to return to the Philippines. Villamor, Jesus. They Never Surrendered: A True Story of Resistance in World War II. Quezon City: Vera-Reyes, Inc. 1982. Browse the Roderick Hall Collection to learn more on World War II in the Philippines.